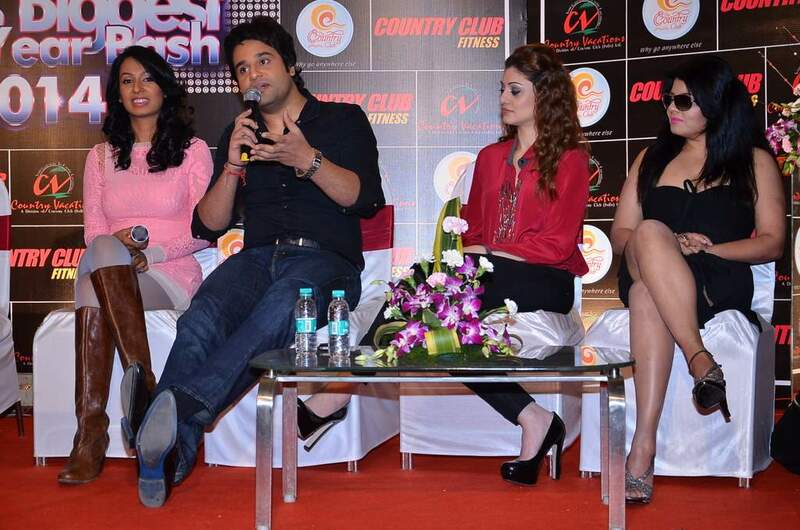 BollywoodGaram.com: Country Club organized a press event in Mumbai on November 23, 2013, which was attended by Bollywood celebrities, including Payal Rohatgi, Rakhi Sawant, Kashmira Shah, Krishna Abhishek, Claudia Ciesla and Shefali Zariwala. The press event was held in order to announce the New Year party 2014 which will be organized by Country Club. Claudia will be performing at the event in Pune. The actress said, “I am performing on 31st every year but this year is very special for me because for the first time I am going to work with County Club on 31st December in Pune”. The item girl went on to say that every celebrity is looking forward to working with Country Club and also appreciated their hospitality and its management.